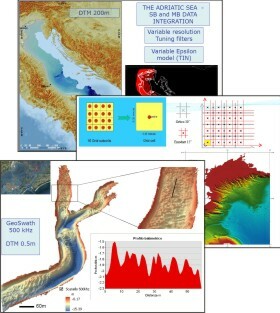 The 7th GEBCO Science Day will be hosted by the Directing Committee of the International Hydrographic Bureau at the Salle du Ponant, Monaco, on 2nd October 2012. GEBCO Science Day is held every year as part of GEBCO's meetings. We announce a call for papers on topics related to ocean mapping and its applications for inclusion as part of this year's Science Day. Please come share your knowledge and join an international and cross-disciplinary team engaged in this exciting and fundamental work. This year, the International Hydrographic Organization/International Association of Geodesy (IHO/IAG) Advisory Board on the Law of the Sea (ABLOS) will hold their meetings concurrently with GEBCO. ABLOS attendees are especially invited to contribute to and attend Science Day. Any contributor to Science Day may attend all meeting days of GEBCO’s Technical Sub-Committee on Ocean Mapping (TSCOM) and Sub-Committee on Regional Undersea Mapping (SCRUM) and the Wednesday 03 October meeting of ABLOS. All contributors are encouraged to publish their presentations through GEBCO’s web site.